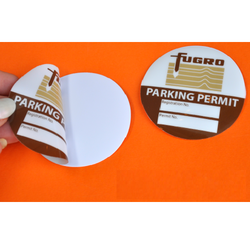 We are one of the renowned manufacturers and suppliers of Gumming Stickers. 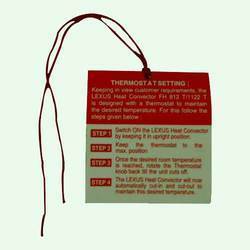 Stickers are a label with adhesive on the one side and printed logo or text on other side. These are usually made of high quality paper with or without lamination used by various customer according to their requirement. Labels for branded products consists of company's logo, general information and precautionary notes. We are engaged in manufacturing and supplying of wide range of Dangler Sticker. This is a paper printing in square, triangle and rectangle forms. We use high quality printing papers, inks and most modern computer application for printing danglers as per the customer's needs. Business organisations use Danglers for promotion of their products and services in the market. 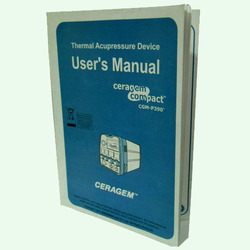 We are engaged in offering an exclusive range of Manuals Sticker, which is a unique collection of knowledge and information. These manuals are highly helpful and provide detailed information and data related to various devices or processes. Our range of manuals are attractively designed in beautiful multi-color catalogs printed with glossy paper. These are also designed keeping in mind the specific needs of clients and available at most affordable prices. We bring to our clients a Carbon Less Warranty Card Sticker that are extensively find application in various industries. Warranty cards are used to depict information's about the product replacement or repair terms and conditions. These warranty cards are designed using quality printing material such as carbon less paper & bloss paper etc.These cards are also custom designed as per the specifications provided by the clients.We are also provide Warranty cards with plastic pack to increase its shell life.